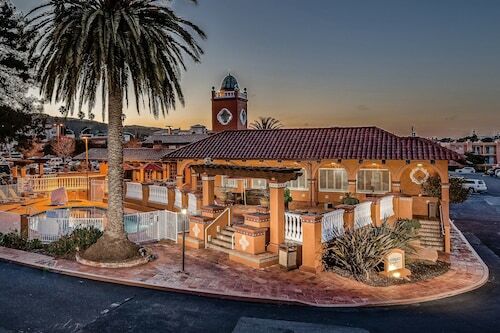 Located in North Beach, this eco-friendly hotel is within a 10-minute walk of Ripley's Believe It Or Not Museum, Pier 39, and San Francisco Bay. 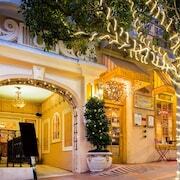 Ghirardelli Square and Lombard Street are also within 15 minutes. Ferry Building Station is 30 minutes by foot. 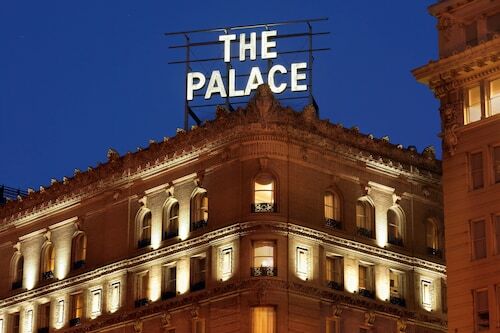 Located in Downtown San Francisco, this romantic hotel is within a 15-minute walk of Powell and Market Cable Car Turnaround, Asian Art Museum of San Francisco and San Francisco Museum of Modern Art. 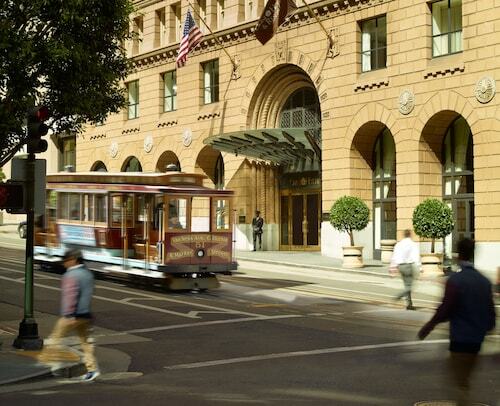 Cable Car Museum and San Francisco City Hall are also within 1 mi (2 km). Powell St. Station is 7 minutes by foot and Civic Center Station is 11 minutes. 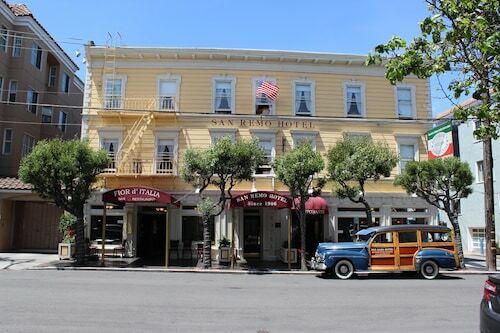 Located in North Beach, this hotel is within a 10-minute walk of Fishermans Wharf Cable Car Turnaround, Hyde Street Pier and Ghirardelli Square. Lombard Street and Pier 39 are also within 15 minutes. 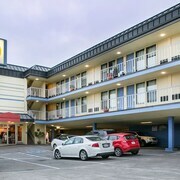 Situated near the airport, this motel is 1.7 mi (2.8 km) from San Francisco Bay and within 6 miles (10 km) of South San Francisco Convention Center and Millbrae Square Shopping Center. Cow Palace and Coyote Point Park are also within 9 miles (15 km). South San Francisco Station is 23 minutes by foot. 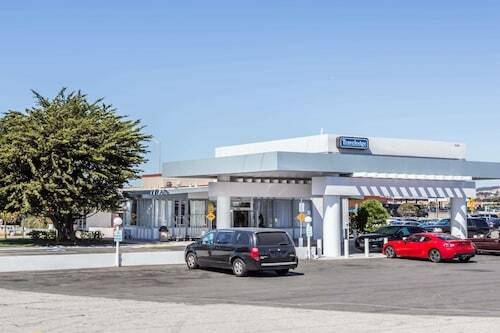 Situated near the airport, this hotel is 1 mi (1.7 km) from The Shops at Tanforan and 1.5 mi (2.5 km) from Millbrae Square Shopping Center. San Francisco Bay and South San Francisco Convention Center are also within 6 miles (10 km). San Bruno Station is 9 minutes by foot and San Bruno Metro Station is 25 minutes. 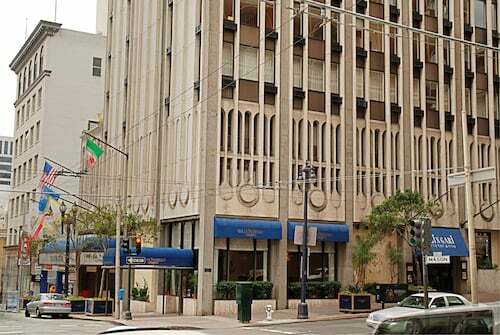 Located in Downtown San Francisco, this hotel is within a 10-minute walk of 555 California Street, San Francisco Museum of Modern Art and Westfield San Francisco Centre. SHN Curran Theatre and TransAmerica Pyramid are also within 10 minutes. Montgomery St. Station is 6 minutes by foot and Powell St. Station is 9 minutes. 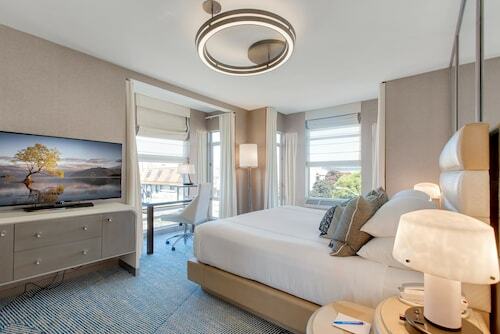 Located in Downtown San Francisco, this luxury hotel is within a 10-minute walk of Academy of Art University, San Francisco Museum of Modern Art, and Moscone Convention Center. Powell and Market Cable Car Turnaround and Westfield San Francisco Centre are also within 10 minutes. Montgomery St. Station is only a 2-minute walk and Powell St. Station is 8 minutes. 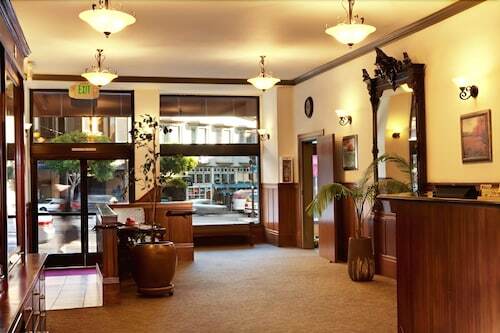 Located in Downtown San Francisco, this luxury hotel is within a 10-minute walk of Grace Cathedral and SHN Curran Theatre. Van Ness Avenue and Powell and Market Cable Car Turnaround are also within 15 minutes. Powell St. Station is 15 minutes by foot and Montgomery St. Station is 16 minutes. 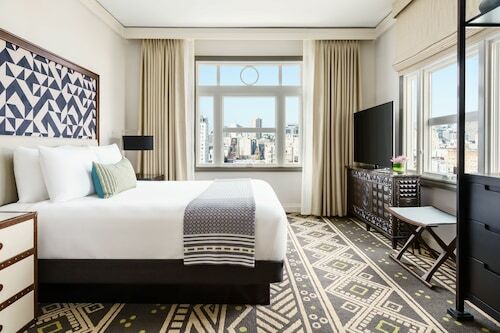 Located in Downtown San Francisco, this luxury hotel is within a 5-minute walk of 555 California Street and TransAmerica Pyramid. 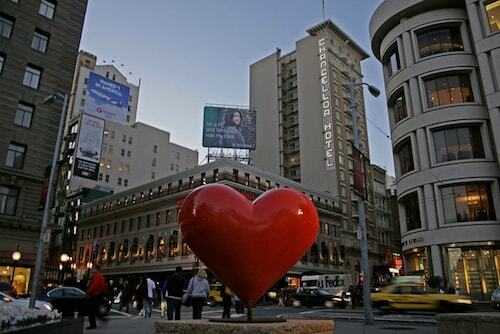 San Francisco Museum of Modern Art and Embarcadero Center are also within 15 minutes. Montgomery St. Station is 7 minutes by foot and Embarcadero Station is 8 minutes. The largest convention centre in San Francisco, the Moscone Center, is comprised of three large halls, suitable for everything from small meetings to huge conventions, tradeshows, and exhibitions. Each year it plays host to a number of prestigious conventions, conferences, and expos, such as the American Bar Association annual meeting, and the Game Developer Conference. 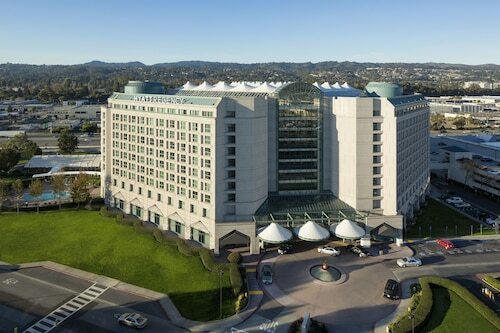 There are several hotels in San Francisco near the Moscone Center. The most popular dining choice in San Francisco is fusion cuisine, cleverly combining flavors from around the world for a unique eating experience. 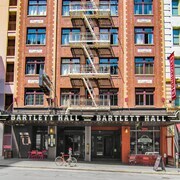 The most popular example of fusion style is Bar Tartine, in the Mission District, that combines American, Asian, Oriental, and European flavours. 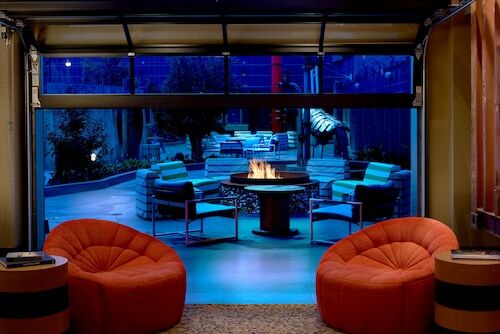 Several hotels in San Francisco have restaurants where you can eat in your room or with other visitors to the city. 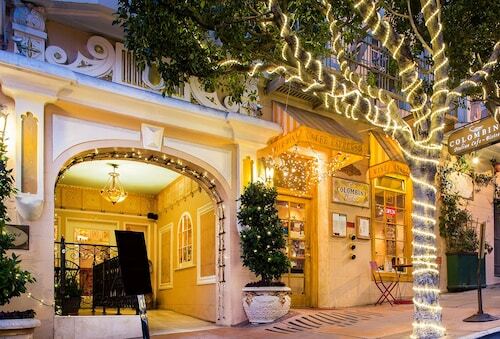 San Francisco is a shopaholic's dream. Go oriental, pass through the Dragon Gates, and enter Chinatown, where you can find traditional Chinese products, from herbal remedies to fabrics and home furnishings. Union Square and Westfield both provide outstanding shopping opportunities, from big brands and high street staples to designer outlets and unique boutiques, complimented by street performances, and food and beverage stalls and shops. The Golden Gate Bridge is one of San Francisco's most famous landmarks and is well worth a visit as an outstanding piece of architecture. For a more uniquely chilling experience, take a trip to Alcatraz, one of the most famous maximum security prisons in the world, although it hasn't housed prisoner since 1963. While San Francisco has a long sporting heritage when it comes to major league sports like American football with the San Francisco 49ers, baseball's San Francisco Giants, basketball, and hockey, you can also watch or participate in a range of other sporting events, such as mountain biking, hiking, skate boarding, rollerblading, surfing, and the Alcatraz triathlon. Airport 'free' transfer made ne waut 3hrs before agreeing to pay for my cab. Meanwhile 2 members of staff hung up on me without warning and justified it by having "guests in front of them". Complained to Juliana who couldnt give a hoot and offered no rectification. Demanded a manager and still waiting. Disgusting treatment! I want my money back. Old lovely building with practical location. Needs new mattress. Last minute price was overrated. 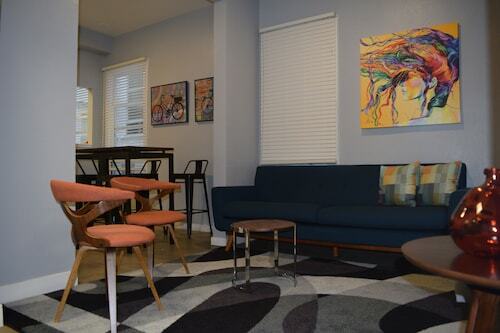 Friendly cafe just steps away. 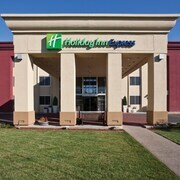 Nice hotel but for the price you pay for the room and it is a 4-star hotel I was disappointed. The King Bed room was fairly small - the room didn't even have doubled curtains, so lots of light came in as soon as the sun was up which woke us at 7 AM. As well, barely any amenities came with the room - no free water, no access to pool or health center unless you pay the $25 fee, and no free parking (parking was extremely expensive). 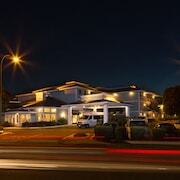 The facilities and room size/style of the hotel don't make up for the lack of these amenities and services, that most 4 and 5-star hotels in any major city would give you as included in the room rate. 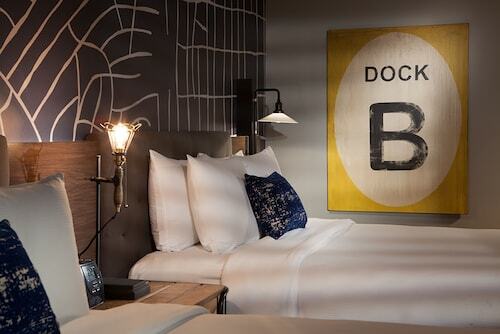 Would not stay here again and would not recommend this hotel to friends or family visiting SF. Hotelli erinomaisella sijainnilla. Ystävällinen henkilökunta. Huoneet eivät ihan uusinta uutta. Ainoa miinus oli (9 krs) yksinkertaiset ikkunat ja kova liikenteen meteli yöt läpeensä. Suosittelen korvatulppia herkkäunisimmille. 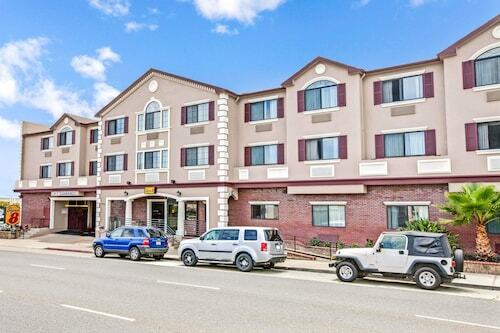 Great, close to Fisherman’s Wharf. Just round the corner from cable car stops.